UPDATED: Wed., July 25, 2018, 8:18 p.m.
WASHINGTON – President Donald Trump’s top national security aides sought to fend off accusations the president is too soft on Russia by declaring Wednesday that the U.S. will never recognize the annexation of Crimea and by postponing a second proposed summit between Trump and Russian leader Vladimir Putin. As Secretary of State Mike Pompeo prepared to face questions about last week’s Trump-Putin meeting from the Senate Foreign Relations Committee, the White House said Trump had opted against trying to meet with Putin this fall, as had been announced, and would instead wait until 2019. National security adviser John Bolton cited special counsel Robert Mueller’s investigation into Russian interference in the 2016 election as the reason for the delay. “The President believes that the next bilateral meeting with President Putin should take place after the Russia witch hunt is over, so we’ve agreed that it will be after the first of the year,” Bolton said. The White House said last week that Trump had directed Bolton to invite Putin to Washington for a meeting in the fall. This came amid the backlash over Trump’s performance at a news conference with Putin following their Helsinki summit, and many members of Congress had objected to them meeting again in the fall. “In concert with allies, partners, and the international community, the United States rejects Russia’s attempted annexation of Crimea and pledges to maintain this policy until Ukraine’s territorial integrity is restored,” Pompeo said in the declaration, which was released by the State Department shortly before he was to testify. Pompeo is expected to face tough questioning from committee members about Trump’s summit with Putin. Trump has suggested that U.S. opposition to Russia’s annexation of Crimea could be reconsidered. In the declaration, Pompeo took Russia to task for it actions in Ukraine, particularly the 2014 annexation of Crimea. Russia has defended its move, saying Crimean voters approved the annexation in a referendum. The U.S. and its European allies have said the referendum was illegal as it was held without the consent of the government in Kiev and was conducted in a highly flawed manner. “Through its actions, Russia has acted in a manner unworthy of a great nation and has chosen to isolate itself from the international community,” Pompeo said in the statement. Even before the statement was released, Pompeo was taking a tough line on Russia and defending the Trump-Putin meeting as he prepared for his Senate testimony. In an interview transcript released ahead of the Crimea statement, Pompeo said Trump and Putin “didn’t find much place to agree” on Ukraine when they met in Finland last week. He said Trump made clear to Putin that the so-called Minsk Accords to settle the Ukraine conflict is the right path forward. He also reiterated U.S. support for an investigation that held Russia responsible for downing a Malaysian airliner over east Ukraine in 2014. Pompeo said that what the Russians did was “deeply immoral” and that those responsible for the MH17 disaster should be held accountable. 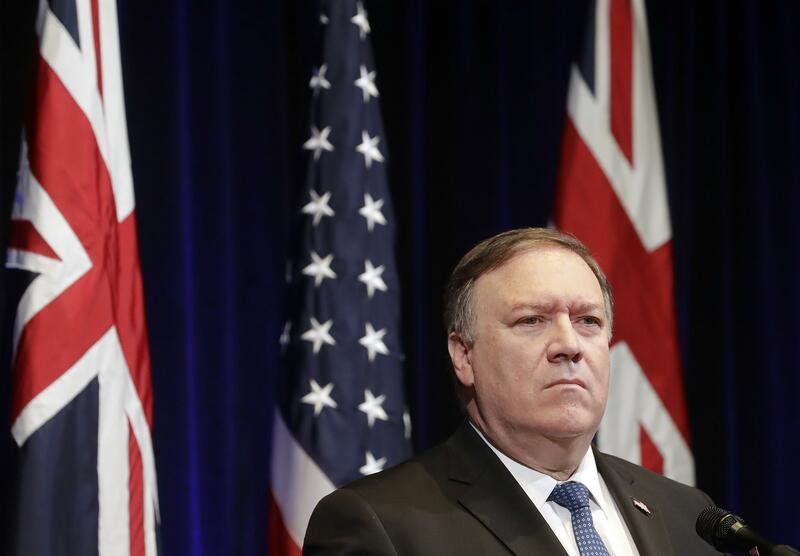 Pompeo made the comments in a Tuesday interview with the Australian Broadcasting Corporation in California, where he and Defense Secretary James Mattis co-hosted meetings this week with their Australian counterparts. The interview was a likely preview of his Senate testimony, which comes as lawmakers are seeking answers on what the two leaders may have agreed to in Helsinki. The White House and State Department have been vague when pressed for specifics. In the interview, Pompeo acknowledged that he was not in the room when Trump and Putin met for nearly two hours in Helsinki. But he said he had a “good understanding” of what took place based on his presence at a larger meeting between the two sides as well as conversations with Trump and Russian Foreign Minister Sergey Lavrov. On Ukraine, Pompeo said the differences were sharp. Published: July 25, 2018, 11:36 a.m. Updated: July 25, 2018, 8:18 p.m.